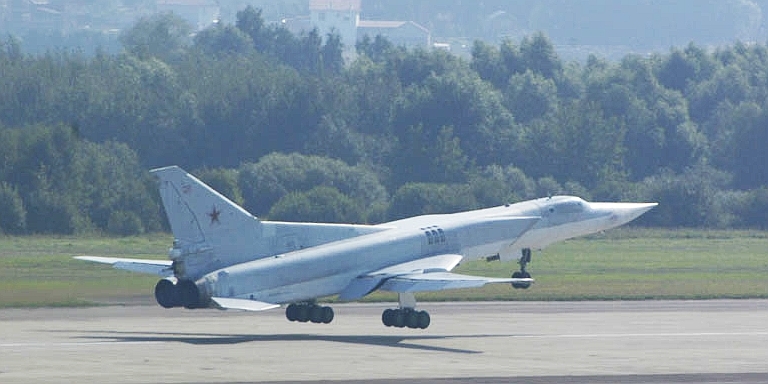 The Tupolev Tu-22M3 Backfire C is in a class of its own. In conceptual terms, it could best be considered a larger supersonic equivalent to the RAF's 1960s V-bombers, armed with a more evolved equivalent to the RAF's Avro Blue Steel Mk.1 supersonic standoff missile. The Backfire remained in production until 1993, and given low flying hours, the extant Russian fleet is largely younger in airframe hours than the US B-1B Lancer fleet. With the recent public exposure of the PLA's Xian H-6K turbofan powered Badger cruise missile carrier it is clear that the PLA is moving ahead with its planning for a strategic bomber fleet with more reach than the legacy H-6 Badger variants, under the auspices of the "Second Island Chain Strategy". 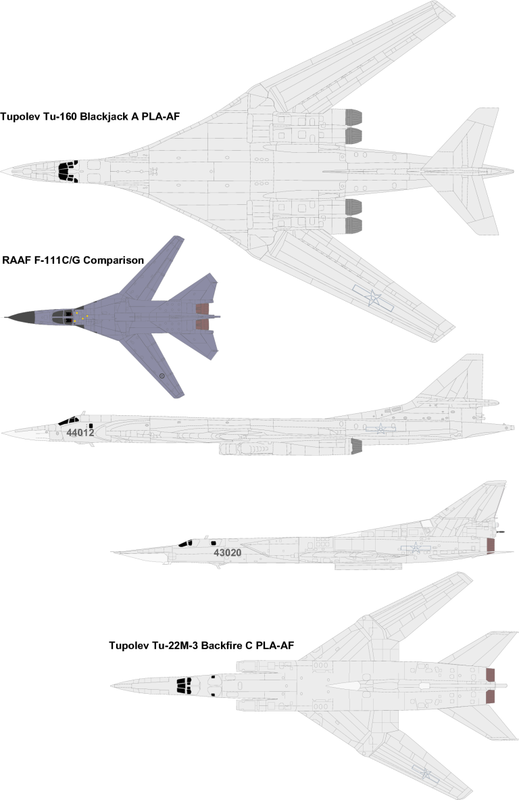 Off the shelf candidates for this fleet include upgraded surplus Russian Air Force Tu-22M3 Backfire C and Tu-95MS Bear H aircraft, and new build Tu-160 Blackjacks, as well as the indigenous and smaller H-6K. In 2005 the Chief of Air Staff of the Russian Air Force observed, in relation to the Backfire and Bear, that surplus aircraft should be exported to China. In terms of time to deployment and acquisition cost, the Backfire is strong contender in any competitive flyoff between these types. To best appreciate the potential strategic impact of the Backfire upon this region APA will explore the capabilities and further growth potential of the aircraft in more detail. 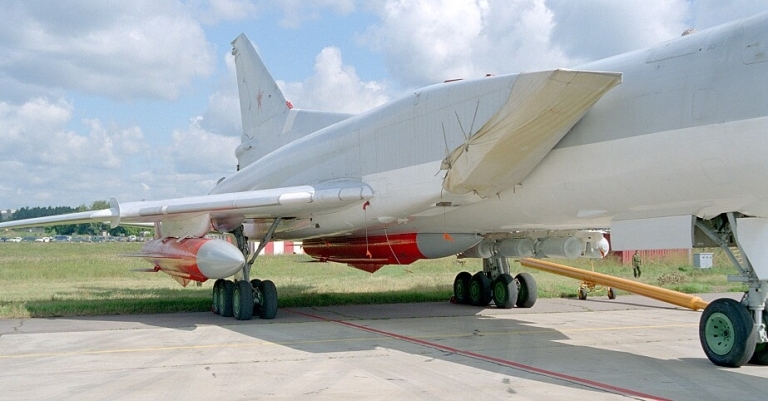 The underpowered Tu-22M2 Backfire B was the first production model, of which over 200 were built (US DoD). 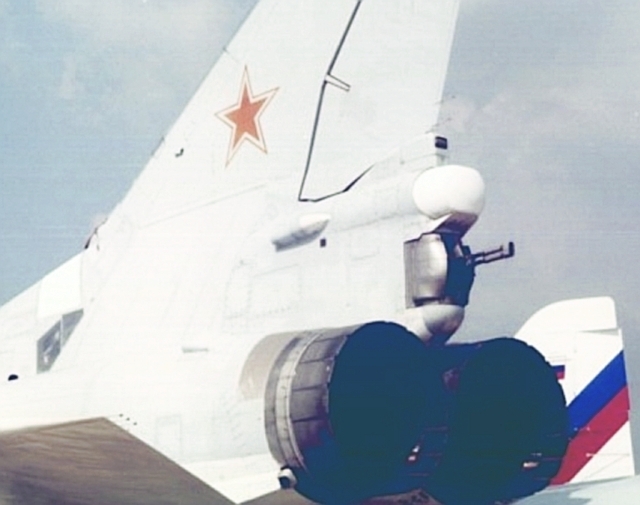 The latest variant of the Backfire is the third generation Tu-22M3 Backfire C model, which remained in production until 1993. 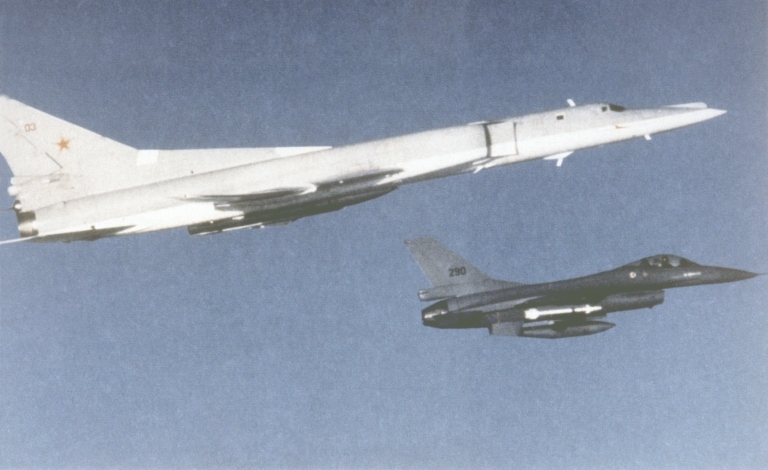 The earliest origins of the Backfire were in the earlier Tu-22 Blinder, a Russian analogue to the US B-58 Hustler. Inferior to the B-58, the Soviet air staff sought a significantly more capable design. 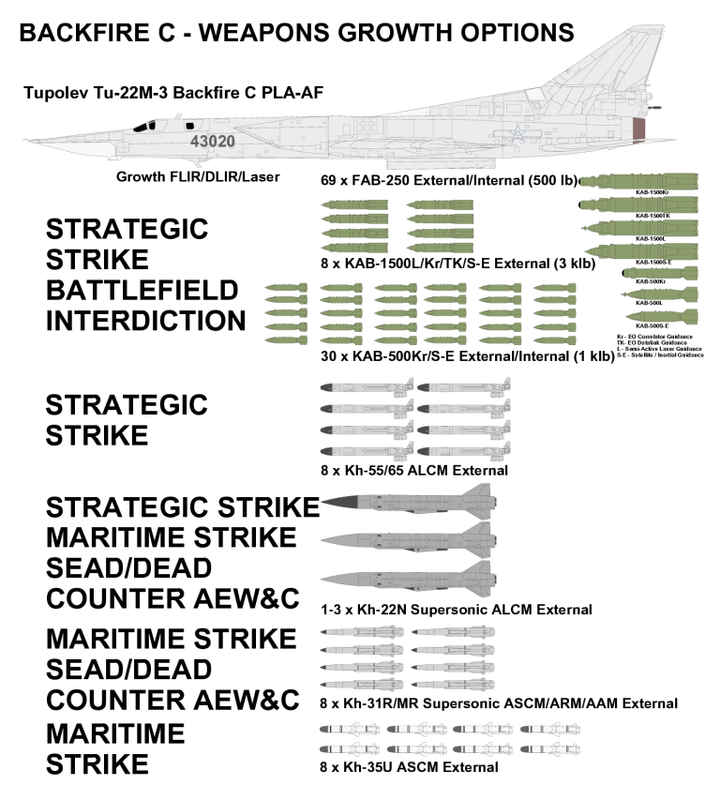 After much research and internal argument during the mid 1960s, the Tu-22M designation was allocated to a largely unique design. 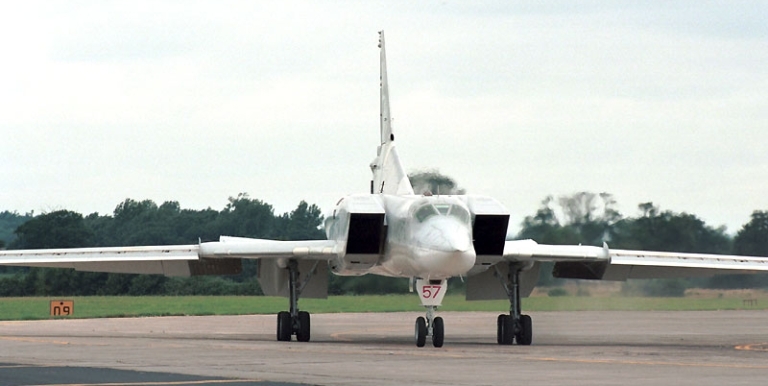 The first Backfire variant was the Tu-22M-0 subtype, using an F-4 Phantom like inlet arrangement, long inlet tunnels, a variable geometry wing, and B-1A-like side by side seating, unlike the tandem Tu-22 Blinder. 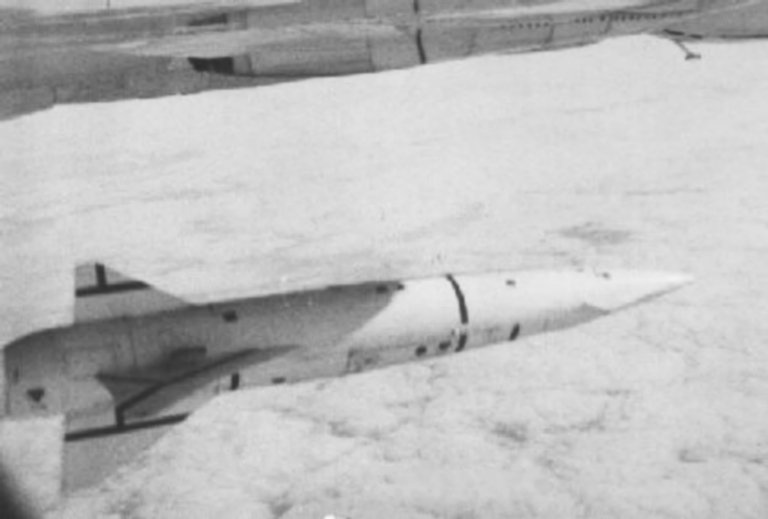 A pair of NK-144-22 afterburning fans, common to the Tu-144 Concord-ski were employed. The embryonic Backfire inherited the single centreline Raduga Kh-22/AS-4 Kitchen [More ...] supersonic standoff missile as its primary weapon. 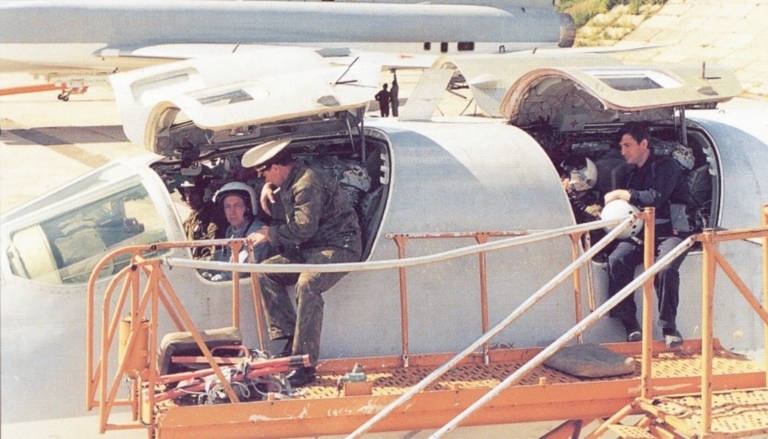 Flight testing progressed concurrently with low rate initial production, but only 10 were built by late 1972. 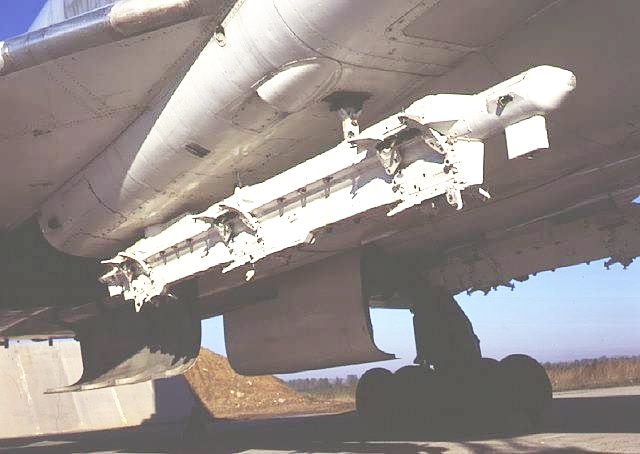 Dissatisfaction with the baseline Backfire led to an extensive rework of the design, under the designation Tu-22M-1 or Backfire A. Aerodynamics were refined, 6,500 lb of weight removed, span was increased by 60 inches and the speedbrake was relocated. The Backfire A was also a disappointment, and only 9 were built by late 1972. Yet another cycle of redesign work followed, producing the Tu-22M-2 or Backfire B designated article 45-02, the first mass production variant. It was around 3,000 lb lighter than the Backfire A, and powered by a pair of new NK-22 engines. With more thrust, the Backfire B could lift up to 24 tonnes of weapons, including a payload of three Kh-22/AS-4 Kitchen missiles. The aircraft carried a tail turret with paired NR-23 guns, a PRS-3 Argon-2 ranging radar and TV remote gunsight. 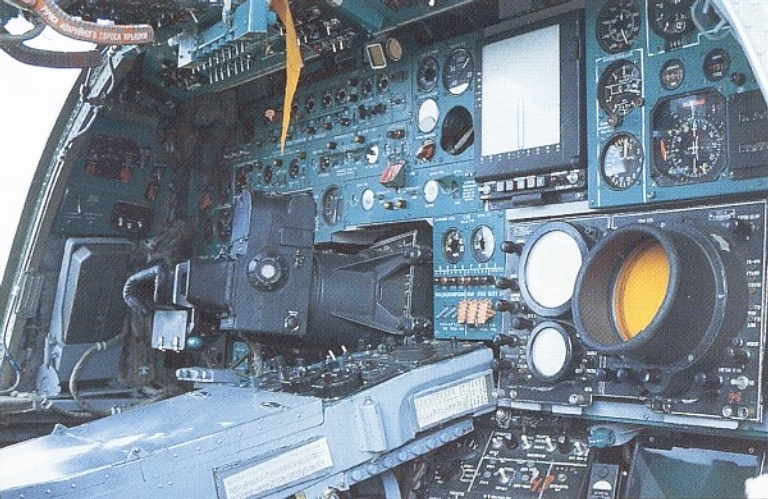 The PNA-B Rubin / Down Beat attack radar was designed to provide over 300 degree coverage emulating the HP Victor installation, and was supplemented by a ventral remote TV bombsight arranged like that in the Avro Vulcan. Dal'naya Aviatsia IOC was achieved in 1974, with AV-MF naval aviation regiments receiving their Backfire Bs in 1976. By the end of production in 1983, no less than 211 examples were built. 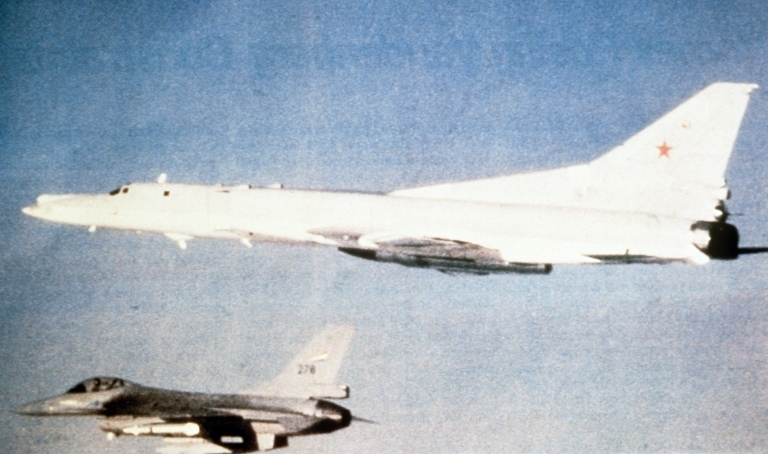 The underpowered Backfire B was considered inadequate and design work commenced early on the improved Tu-22M3 or Backfire C designated Article 45-03, which first flew in 1977, following trials of the more powerful NK-25 engine in a Backfire B airframe. The redesign was extensive, including some use of titanium structure to further reduce empty weight, and was led by the Tupolev Bureau's Deputy Chief Designer Boris E Levanovich. The most visible change were the adoption of F-15 style ramped inlets, and revised auxiliary inlets. Less visible were changes to the wing design, permitting a 65 degree sweep, more than earlier variants. The reshaped and stretched nose incorporated a revised refuelling probe design. Further changes were made to the vertical tail, undercarriage, defensive gun package and avionics. 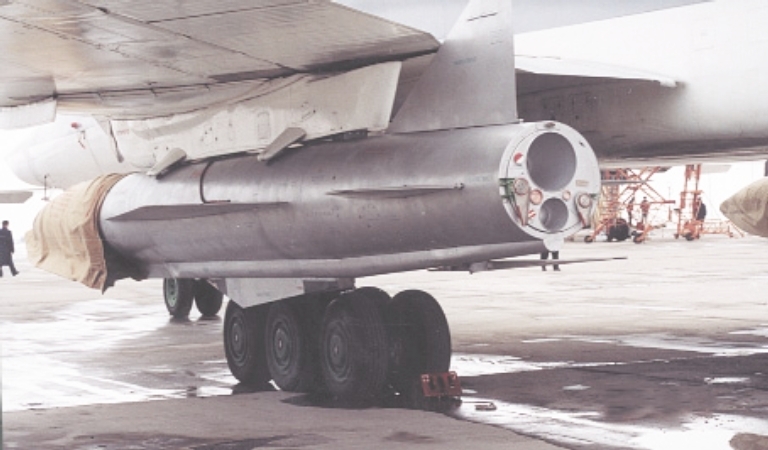 During the mid-1990s the author discussed the Tu-22M3 with Levanovich, who was adamant that the production aircraft had a hi-hi-hi combat radius of 4,000 km (2,160 NMI) with a payload of three Kh-22M/AS-4 missiles, well in excess of then current Western estimates. Detector aperture for the L-082 MAK-UL series infrared MAWS, here installed on a Bear H (© Miroslav Gyűrösi). 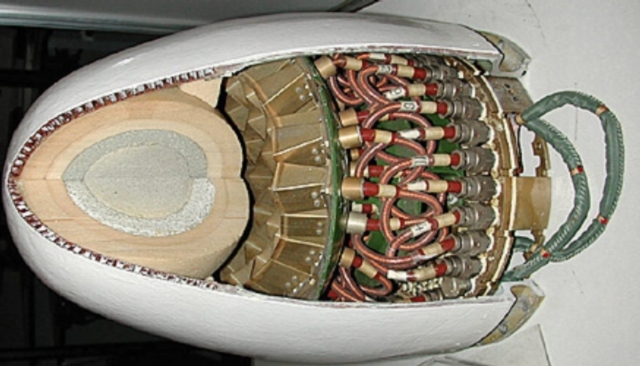 Emitter array for internal SPS-171/172 electronically steerable jammer, depicted in podded configuration (KNIRTI). Terminal hard kill defensive capability in the aft sector is provided by a UKU-9A-802 tail barbette, fitted with a single GSh-23 gun, and directed by an improved PRS-4KM Kripton / Box Tail ranging radar and remote TV camera. Avionic improvements were no less extensive. The Avtomat 3 Radar Warning Receiver was fitted, with an internal variant of the KNIRTI SPS-171/172 Sorbstiya wideband phased array jammer (refer image) and the AG-56 automated nosie generator also carried. The SPS-171/172 is claimed to provide noise and deception jamming modes, and is available podded as the L-005 for the Su-27/30. The UKU-9A-802 tail barbette was fitted with a single GSh-23 gun, supported by an improved PRS-4KM Kripton / Box Tail ranging radar and remote TV camera. Ventral and dorsal infrared L-082 MAK-UL series Missile Approach Warning System (MAWS) turrets are fitted to many aircraft. The ventral OBP-15T remote TV bombsight is used to target dumb bombs. The fairing for this device is well placed to fit an infrared imaging laser targeting system (RuAF). The earlier PNA-B attack radar was replaced with an improved Leninets PNA-D, which includes Doppler beam sharpening and terrain avoidance modes for low level penetration, there are no reports of the Sopka Terrain Following Radar (TFR) used in the Tu-160 fitted to Backfires. The SMKRITs (RORSAT Targeting Datalink Receiver) is fitted, using a Molniya satcom link. The Groza OBP-15T TV remote optical bombsight common to the Tu-160 was used. 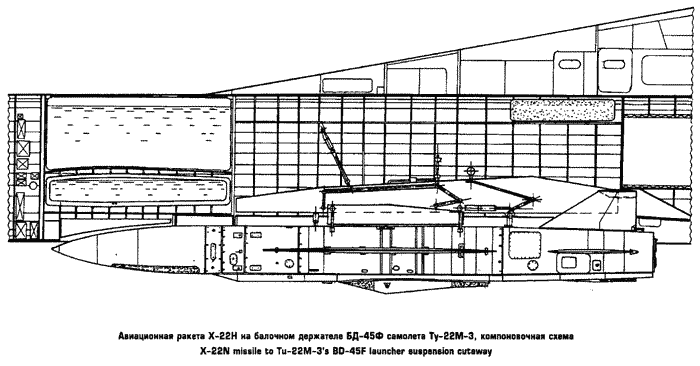 The centreline Kh-22 store is carried semi-conformally, with sculpted bomb bay doors to accommodate the weapon. 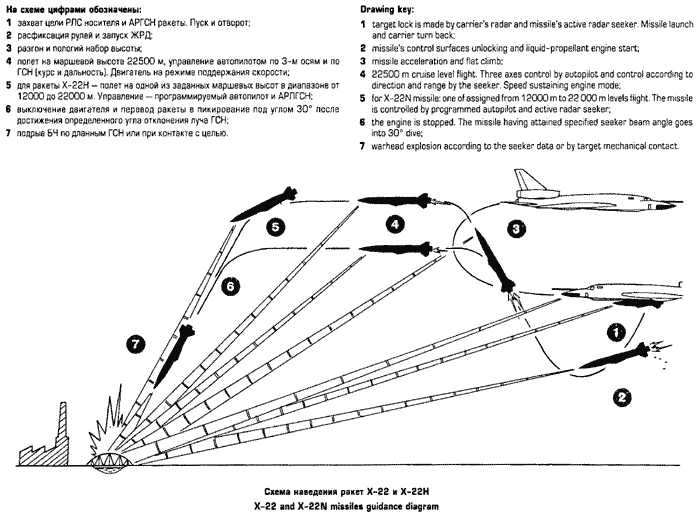 The bomb bay rotary launcher is otherwise used for a range of weapons (US DoD). Outboard glove station BD-45K/F adaptors are used to carry a pair of external Kh-22 rounds, but can be replaced with bomb racks for up to 3 tonnes of free fall bombs. (via Wikipedia). The weapons suite for the Backfire C reflects its late Cold War Soviet tasking. The primary weapon for AV-MF naval Backfires were anti-shipping, anti-radiation and nuclear variants of the very formidable Raduga Kh-22 Burya / AS-4 Kitchen [More ...]. Anti-radiation and nuclear variants were also carried by Dal'naya Aviatsia Backfire C aircraft as defence suppression weapons. The Backfire bomb bay can be fitted with doors which have contoured recesses to fit a centreline conformal Kh-22 round on a BD-45F adaptor. Two external rounds can be carried on BD-45K adaptors, mounted on the outboard glove hardpoints. 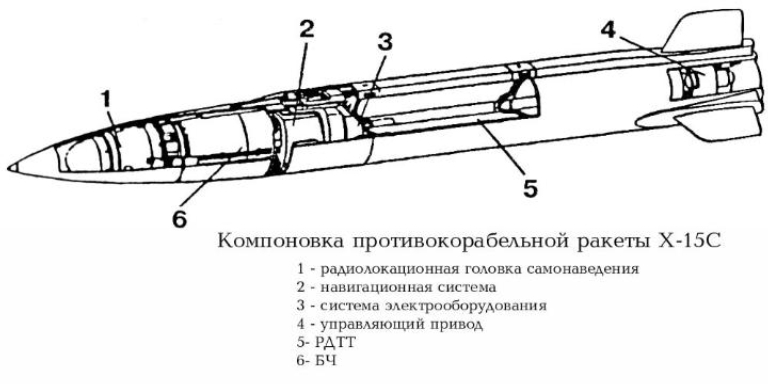 The Kh-15 / AS-16 Kickback is the Russian equivalent to SAC's AGM-69 SRAM. Note the maritime strike CONOPS using offboard targeting provided by the Tu-95RTs Bear D Uspekh / Big Bulge X-band surveillance and targeting radar (via Warfare.ru). 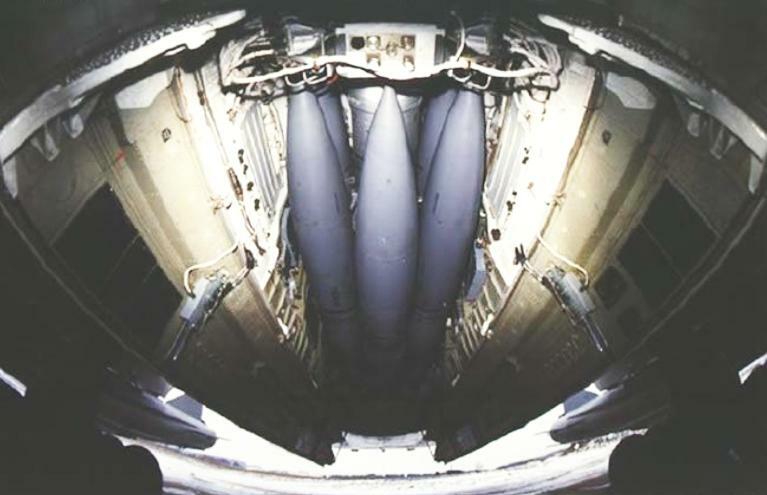 The bomb bay can also be fitted with an MKU series rotary launcher for six Kh-15 / AS-16 Kickback nuclear or conventional armed defence suppression missiles, a Soviet analogue to the US AGM-69A SRAM carried by the FB-111A and B-52H. Four additional rounds can be carried on the outboard glove stations, and inboard ventral inlet tunnel stations, for a total of 10 weapons. Like US heavy bombers in the era predating precision bombs, the Backfire C can also carry a large payload of dumb bombs. External beam ejector racks can be fitted to the outboard glove stations and inboard ventral inlet tunnel stations, each carrying 9 x FAB-250 500 lb dumb bombs, which including the 24 round bomb bay stations permits carriage of up to 69 FAB-250 rounds, more than the Mk.82 payload of the B-52H. The external stations can also be used to carry paired FAB-1500 3,000 lb dumb bombs, for a total of 8 rounds. The maximum weapons payload is usually cited at 24 tonnes. In terms of performance the Backfire C is best described as a 124 tonne 'oversized F-111', carrying around 120,000 lb of internal fuel, with Mach 2 class dash speed and a combat radius between 2,000 and 2,500 nautical miles, subject to weapon payload and profile. Eastern European sources claim that low level penetration profiles can be flown, in addition to the 'classical' high altitude supersonic profile. 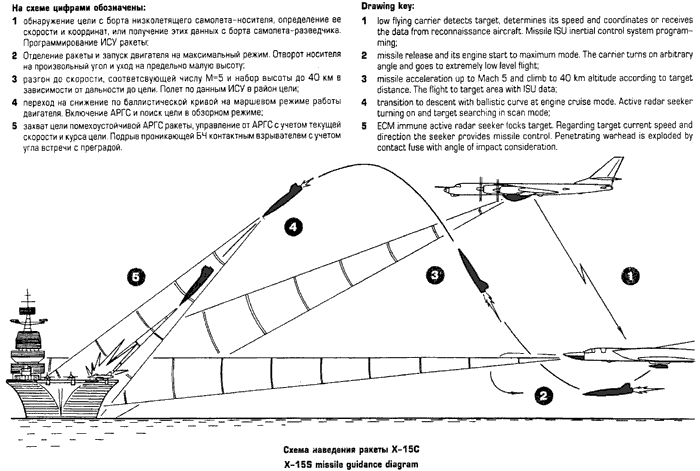 Tupolev data indicates that the aircraft is compatible with any runway capable of supporting a later 767 variant. The Tu-22M3 remained in production until 1993, and various sources claim that up to 268 units were built. As IOC was achieved in 1989 and operational flying rapidly curtailed after 1991, the average number of fatigue hours accumulated by the Backfire C fleet is very low, especially for the last aircraft built, which have a calendar age of only 14 years. US sources currently put Russian Air Force inventory numbers at 105, Russian Naval Aviation numbers at 105, and Ukrainian Air Force numbers at 14 (with 16 Backfire B). The Backfire sits between the F-111 and B-1B in sizing and capability, and with likely future weapons upgrades will provide similar capabilities (Author). 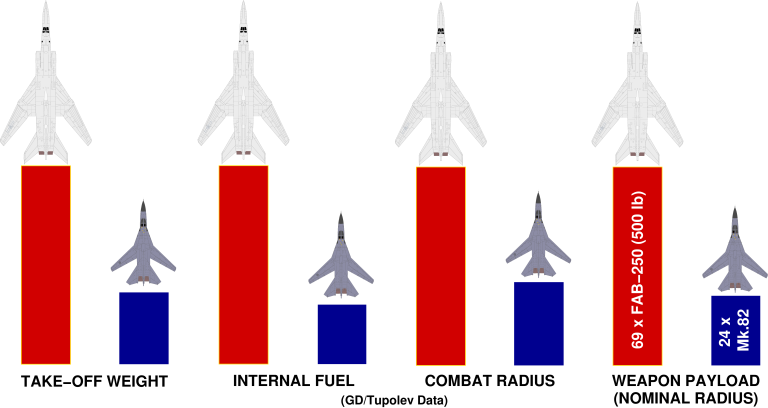 This chart compares the strategic punch of the Backfire against tanker supported F-111s. To strategically balance a dozen Backfires requires two dozen F-111s and a dozen supporting KC-30B/A330-200MRTT tankers. Without the F-111, the number of F/A-18As or JSFs is effectively doubled, and tanker demands are nearly doubled. Should useful numbers of Backfires arrive in the region, the current plan for the RAAF's force structure will result in a strategically irrelevant RAAF strike capability (Author). Sources in Eastern Europe observe that the Russian Air Force has planned for some time to equip the Backfire C with a conventional precision weapons capability, emulating the current trend pursued with the US heavy bomber fleet. There are no reports as yet that this has materialised, due to the parlous budgetary situation the Russians face. With experience from the glass cockpit Su-27SKM and more recent Su-35BM MLU package design, there would be no issues for Russian designers in retrofitting a glass cockpit. It is very unlikely that Russia would agree to export the Kh-55 / AS-15 Kent strategic cruise missile or the Kh-15A/R/S / AS-16 Kickback or SRAM-ski as part of an export package, although an anti-ship Kh-65 has been offered for export. It is known that the PLA acquired samples of the Kh-55SM via the Ukraine earlier in the decade. Conventional variants of the Kh-22 were apparently offered to India and would not present any major issues for export. Indeed, as the PLA-AF and PLA-N both operate variants of the Styx/Silkworm which use a closely related rocket engine and the same propellants, the Kh-22 would be very easy for the PLA to support and operate. We should not be surprised if the PLA opts to licence build the Kh-22 as it could be rapidly assimilated given the infrastructure to manufacture the C-601/611. The Kh-22 remains a formidable anti-shipping weapon and with precision guidance, an extremely potent land attack weapon. There are no fundamental obstacles to integrating the KAB family weapons on the Backfire C, and the prospect of the PLA funding such prior wishlist developments is likely to be very attractive to the cash strapped RuAF. Arguably this may have been the motivation behind senior RuAF officers publicly advocating the export of the Backfire to China. Indian sources claimed that the integration of the Kh-31/AS-17 Krypton series, adopted by the PLA-AF for the Su-30MKK, was a likely prospect for the planned and later cancelled Indian Backfire C lease. As an inventory weapon for the PLA-AF, it is another likely development. Similar claims were also made for the Kh-35U Kharpunski, and it also could be integrated for tandem carriage on suitable launchers. A variant of the existing bomb rack fitted with tandem AKU-58 launchers would easily accommodate both the Kh-31 and Kh-35U in a low drag configuration. 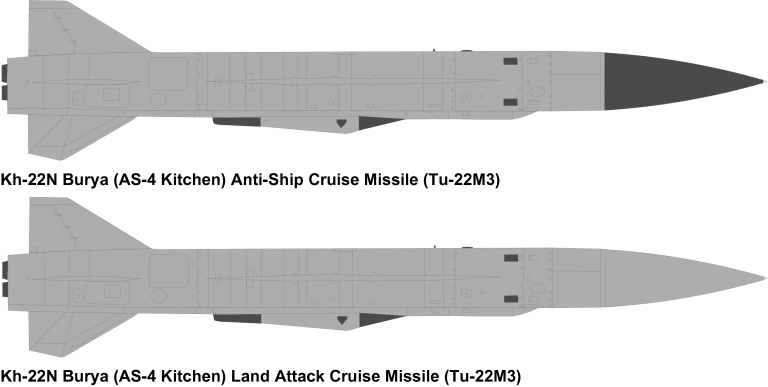 It is to be expected that the PLA-AF would seek to carry its planned ALCMs on the Backfire C. As these weapons are similar in size and weight to the FAB/KAB-1500 series, a similar external carriage arrangement is to be expected. As the Chinese weapons will have unique software requirements, it would likely be a later rather than earlier addition to any export aircraft. The PLA-AF already operates the podded L-005 Sorbtsiya and it is likely that a block upgrade of the SPS-171/172 jammer would be performed to bring them to a similar configuration. This would provide considerable commonality in the support base, and in programming jamming modes into the embedded firmware. If a laser targeting system is fitted, there will be little near term pressure to upgrade the attack radar system. The current state of Russian multimode radar development is best exemplified by the Leninetz B004 phased array in the Su-34 Fullback, and the Tihkomirov NIIP BARS and newer Irbis E in the Su-30MK/35BM Flankers, all of which have Ground/Maritime Moving Target Indicator and Synthetic Aperture Radar high resolution mapping capabilities. A block upgrade of the PNA-D signal and data processors vs replacement with a derivative Su-30 radar would present an interesting dilemma for PLA-AF planners. 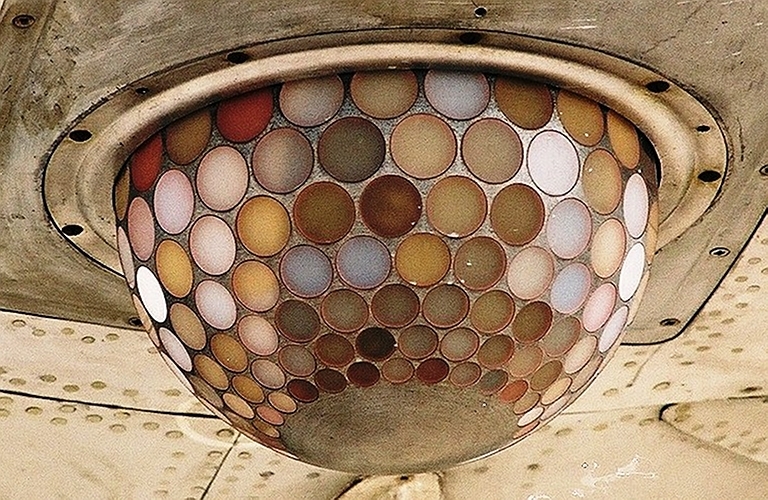 The stabilised gimbal and large radome volume present considerable flexibility for retrofits. Of the choices available, the most ambitious would clearly involve integrating a gimballed variant of the Fullback's B004. It is abundantly clear that the PLA-AF would have a wide range of options in avionic block upgrades and weapons upgrades for the Backfire C.
Above: The four crew members sit on ejection seats as in the B-1B, with individual hatches, an arrangement not unlike the F-111 (RuAF). 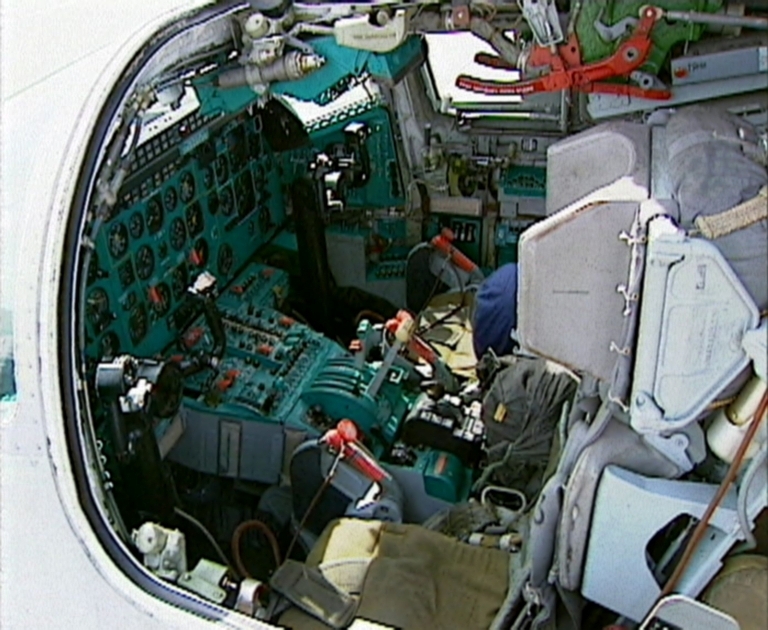 The conventional instrumentation in the cockpit reflects the late Soviet era design heritage of the Backfire. A glass cockpit upgrade following the Su-27SKU model is a feasible option. 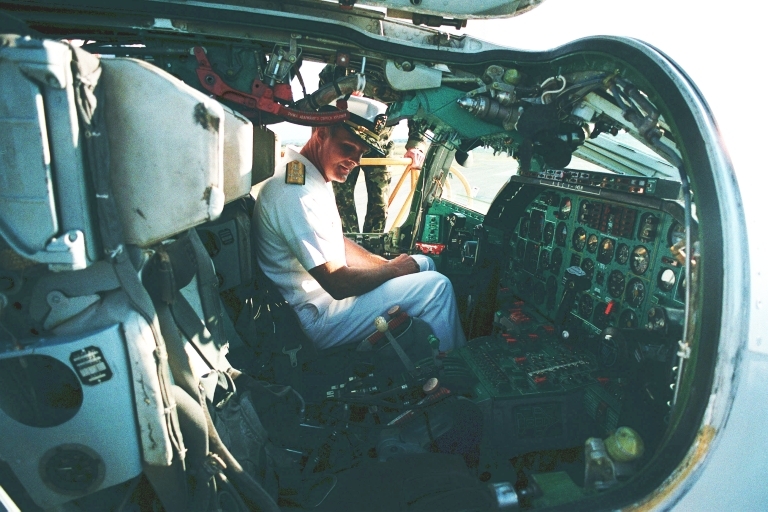 Below: Admiral Charles R. Larson, Commander in Chief, US Pacific Fleet, sits in the cockpit of a Soviet Tu-22M Backfire aircraft during a visit to a Soviet air base during the latter Cold War period (US DoD). Above: Aft Offensive and Defensive Systems Operator stations. 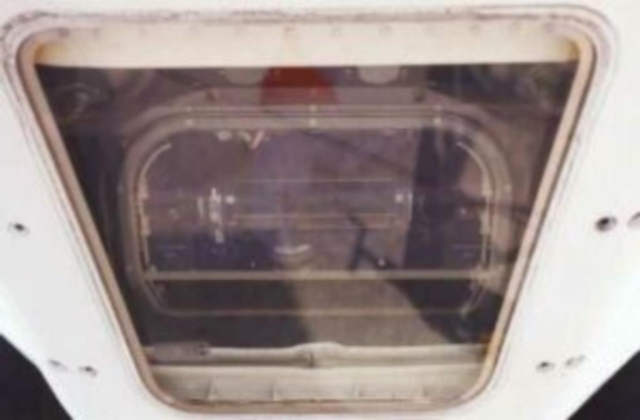 Below: crew access hatches (via airforce.ru). A nine station MER is used to carry the 500 lb class FAB-250 demolition bomb. The Kh-22 Burya was a contemporary of the Avro Blue Steel Mk.1 carried by Victors and Vulcans of RAF Strike Command. The Soviet missile was however larger, faster and longer ranging, and evolved across a range of roles and missions unlike the British missile, limited to nuclear strike [More ..]. Avro Blue Steel Mk.1 (Image via Wikipedia). Avro Blue Steel Mk.1 and Avro Vulcan. Launch of a Blue Steel Mk.1 from an RAF V-bomber. Imagery Sources: US DoD, Russian MoD; other Internet sources. Kopp, C., Australian Aviation - September 2004 - Backfires for China?